So why was velvet so expensive that it became the uniform of Renaissance royalty? While the silk it was made from had something to do with it, the other factor was how complicated it was to make. Velvet isn’t a fiber like cotton or silk, but rather a method of weaving fabric. Back in the days of hand-weaving, this process was extremely complicated (and it’s still pretty involved!). “Pile” refers to the fibers that stick up from the upholstery backing. The pile is what gives velvet its characteristic soft, plush surface. “Nap” refers to the direction that those fibers lie. Not all velvets are directional, but ones that are reflect light differently depending upon the direction of the nap. That’s why velvet can look lighter or darker when you run your hand across it, changing the direction of the pile. It’s this characteristic that accentuates shapes covered in velvet and makes tufted velvet furniture so visually appealing. Why is velvet such a popular upholstery fabric? You can thank its appearance and touch. Soft and warm, it feels as good as it looks (as all luxury fabrics should!). Velvet stands out from other upholstery fabrics, adding depth and definition to the shape of a piece. The depth of the pile also shows off dye really well, resulting in an intense, rich tone. Blue velvet will have a much deeper color than a similarly-dyed piece of flat-weave cotton or linen. To compare the quality of two pieces of velvet, look at the density of the backing fabric and the pile (both the thickness of the yarn and the fiber content). Bending a sample on the diagonal will make it easier to see how tightly that fabric was woven. If it’s easy to see the backing and there are visible rows of pile fibers, that piece is of lesser quality. Also pay attention to the back of the fabric and make sure it is also densely woven. Next, see what the velvet’s rub test shows. (A common measure of durability, a rub test measures the number of “double rubs” before the fabric shows evident wear.) Many velvets receive a heavy duty rating, and some have measured as high as 250,000 double rubs (anything more than 15,000 double rubs is considered suitable for heavy duty residential use). That said, even a highly durable velvet may be susceptible to marking as the pile flattens from normal use and wear. The tendency of velvet to crush is not a defect, so don’t be surprised when it happens. Some people even think velvet improves with age and appreciate the vintage appearance of a well-used piece. Silk velvet is one of the most luxurious fabrics ever created. It is soft and smooth to the touch, and is so lustrous that it gives the impression of being wet. It’s best suited for pieces that will not get heavy use and can fade in sunlight. Linen velvet has a matte, “dry” look, and takes dye exceptionally well, resulting in a deep, rich color. Linen velvets often have a strie (subtle, irregular striping) because linen yarns tend to have different thicknesses. Its pile is usually shorter than that of other velvets, and it’s prone to bruising or crushing. Linen velvet is popular in warmer climates, since it’s breathable and cooler to the touch. Cotton velvet crushes easily, which is why it’s often blended with another fiber, like polyester, to improve its resilience. It has a matte finish, but can be blended with viscose to add luster and strength. Wool velvet is durable and resilient, but it can be warm to the touch – lovely in winter, but not so great in the summer. Velvets made from cellulose, a manufactured fiber made out of plants or wood pulp, are soft and have a deep luster, giving the natural fibers some competition in the glamour department. Synthetic velvets, such as those made from high-quality polyester, are less prone to marking or crushing. They resist fading, but don’t have the same depth of color as natural fabrics. Although they have improved significantly since their introduction, synthetic velvets typically do not have the same look and feel as the natural versions. 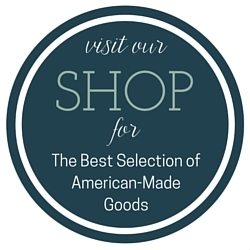 Blending synthetic and natural fibers can offer the best of both worlds. Cut velvet is not a specific fiber, but rather a fabric that has a pattern cut into the velvet. That pattern can be any design, from traditional florals to more modern geometrics. The backing and pile are often made from different fibers. In that way, the foundation can be made as strong as possible while the pile has the attributes of another fiber. When you are shopping for velvet in a showroom, look closely at the tag. Usually, the pile fiber content is listed first and the backing fiber second. Velvet has a reputation for being challenging to maintain. While it can require more attention than some other fabrics, many argue that it’s worth it. One of the most common complaints is from pet owners, who say velvet acts as a magnet for hair. There’s no denying that pet hair will end up on the velvet, but it brushes off with a soft clothes brush or velvet brush. If you want velvet, but pet hair is a major concern, consider a fabric in a color that matches your dog or cat. 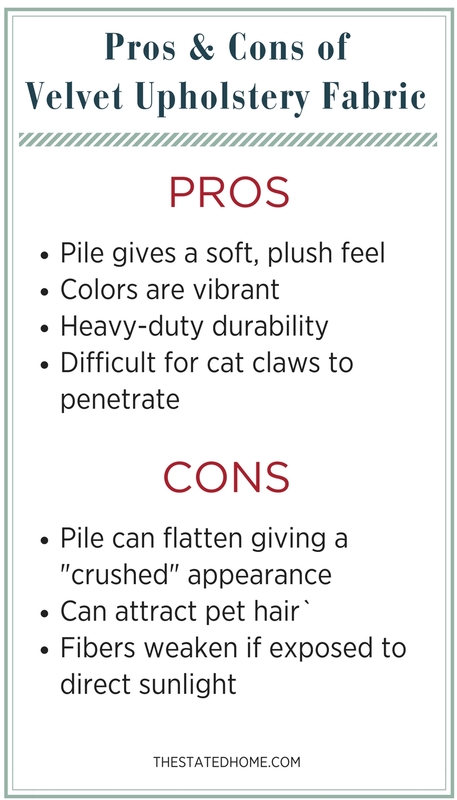 One interesting pet-related fact: Cats find it a lot more difficult to get their claws into velvet than into a fabric with an obvious weave, such as linen. Once you decide to go for a velvet piece of furniture, select a fabric that will hold up to its expected use. If you anticipate more than just light usage, it might be best to choose something other than silk or 100% cotton velvet. For upholstery that will see a lot of use, consider mohair or a polyester blend with a tight weave. Rotate your cushions regularly to help prevent pressure marks where the cushions rest on each other. Plump your cushions to keep them looking fat and wrinkle-free. Wrinkles may mark the velvet. Brush your furniture weekly with a velvet brush or soft clothes brush, going in the direction of the nap. Don’t let anything hard sit on the sofa for a long time. A book or TV remote can mark velvet if left in one place for long enough. Brush gently in the direction of the nap with a soft clothes brush or velvet brush. If your fabric care code allows the use of water-based cleaning solvents, spray the crushed area with a light mist of clean water, followed by a gentle brushing. Call in the experts. There are upholstery cleaning companies that specialize in unique fabrics like velvet (call and ask if they do before having them treat your sofa). The key to successfully cleaning any upholstery fabric is to follow the manufacturer’s guidelines. The first step should be to check the cleaning code. (Your retailer should have provided you with the code when you bought it.) Most velvets, especially those made from natural fibers, come with an “S” code, indicating that they should only be cleaned with a solvent and that water and water-based products are to be avoided. Important: Test any cleaning solution in an inconspicuous spot before use. Before cleaning, remove crumbs and pet hair with your vacuum cleaner brush attachment, always vacuuming in the direction of the nap. (Test the effect of vacuuming on your fabric by first vacuuming a small, inconspicuous area.) After cleaning, allow your furniture to completely dry before replacing the cushions or sitting on it. Brush the dry fabric with a velvet brush in the direction of the nap to renew and soften it. 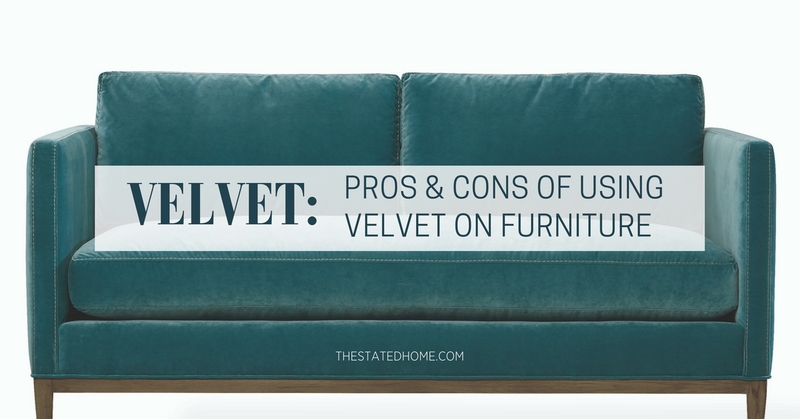 If something gets spilled on your velvet sofa, the first step is to try to shake off the liquid so it doesn’t soak in (something that’s a lot easier with a loose cushion than a sofa arm). Then dab at the damp area with a clean white cloth, working from the outside of the spill toward the center to avoid creating an even larger wet spot. Do not rub or blot with pressure—you’ll just flatten the pile. If there’s a stain, read the manufacturer’s instructions and use the recommended type of cleaning solvent. Dab at the spot just as you would if you were mopping up something that spilled (from the outside in). If you think that the job may be too challenging, consider calling a professional cleaner that specializes in velvet and other unique upholstery fabrics. There is no substitute for expertise. Velvet looks good on almost any piece of furniture and is great for bringing in a different texture among other flat weave fabrics in a space. If you want to create a more formal or traditional space, a velvet sofa can go a long way towards creating that. A velvet chair brings in a touch of luxury and is a great contrast to other, more casual pieces. We like to put velvet on more modern styles as a way to contemporize the fabric. Of course, velvet looks great on all things tufted and is a great choice for tufted ottomans and headboards. Wonderful.I am looking for fabric to recover my 3 piece suite. I want something special .Your information is a great help in guiding me in the right direction. Thank you for this informative piece. I notice that some cotton, nylon, and polyester blend velvets are very shiny, while others are very matte in appearance. Is the shiny velvet used for a more formal look? I am interested in a more casual look, but have cats, so I would like to use velvet for a sofa.Thank you. Yes, I would go with a more matte velvet for something more casual. You may be able to find a crushed look velvet, that even though it has a sheen, may also provide a less formal look. Do you have any recommendations for the type of velvet to use for drapes? I’ve read that you can use upholstery velvet but it seems like it may not be a wise choice. My living room window is rather large (120″ wide) and the drapes are almost always closed when we’re at home. The area is mid-century with some clean industrial touches–nothing overly fussy, looking for more of a warm, casual elegance. The best thing to do would be to get some fabric samples and try to choose one that isn’t tightly woven. Fold the fabrics and see how they’ll “drape”. Velvet drapes are lovely, but another thing to consider is that they can get heavy fast – you’ll have to take that into account when mounting the drapery rod and for considering ease of operation.